Unfortunately, too many motorists do not know the rules of the road, or recognize bicyclists’ rights. Because motorists do not know or recognize bicyclists’ rights or rules of the road, all too often bicyclists sustain severe and debilitating injuries. Attorney Peter Stanford participates in bike rides throughout the Midwest, and in particular, bike rides sponsored by the Leukemia and Lymphoma Society, MS Society, the MACC Fund and other charitable organizations. He trains year round, and appreciates the fact that most motorists do not know the rules of the road or bicyclists’ rights on the road. 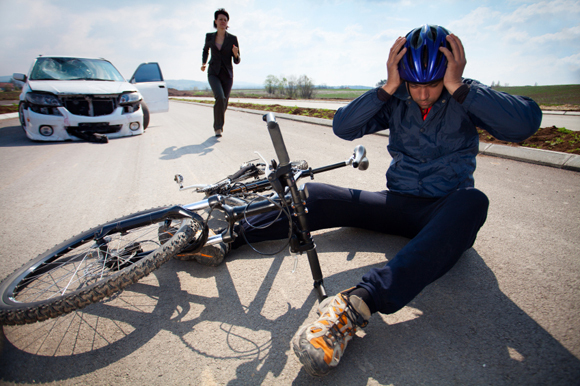 At Stanford Law Offices, we have been representing injured cyclists since 1983. More often than not, the bicyclist has been injured by virtue of a motorist not recognizing one of the rules of the road, or simply not paying attention to a bicyclist. Unfortunately, motorists’ failure to exercise ordinary care on the road has resulted in extremely severe and debilitating injuries and sometimes death to bicyclists. At Stanford Law Offices we take great pride in representing bicyclists and consider bicycle injuries one of our specialties by virtue of our personal involvement on the road. We welcome the opportunity to work for bicyclists, and hope to exercise our experience on the road in the court room.